I have a new 100 Proof Press card for you today! It has just a little tiny bit of The Twinery twine on it, too. Just a little. Just say'n. Why, yes! Yes, it was, indeed, QUITE fun to put all that crazy twine on there! Thanks for asking! YAY! HA! No...seriously. Wicked fun. I love it! 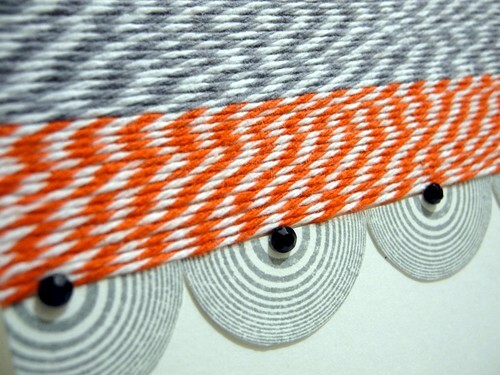 I used the Op Art Circle stamp, cut in half, to create the border beneath the twine. The phone is the Dial Desk Phone and one of my faves! I love that stamp! I snuck in an SSD sentiment to finish it off! A few gem stones from Teresa Collins finish off this fabulous girlfriends card quite nicely! I am also linking this up with the Moxie Fab World Celebrating Relationships Challenge. I think it's a great card for National Girlfriends Day! As for me...well, I still have spray paint on my hands from last night - yes - I showered. It's still there. I am pretty sure I dreamed about glitter last night...that must be a sign. And...basically, I have LOTS to do over the course of this weekend. It's a little insane, actually, but it should be lots of fun...and glittery. Just say'n. And yes...I show you how to make those super cute pom-poms!!! YAY! Okay...that's all! Have a happy Thursday! 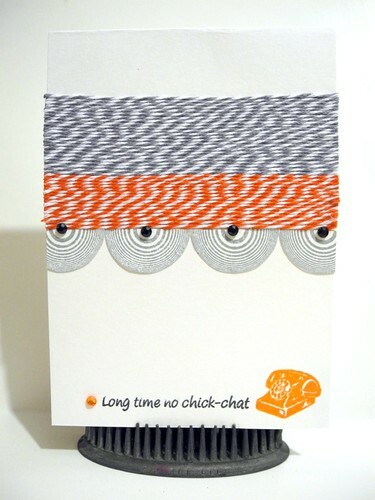 LOVE that twine card - LOVE! And those pom poms are adorable! That's SUCH a perfect card! I mean, WHO among us DOESN'T have a girlfriend we miss & NEED to call? I want to TRY one of those for my best friend in Canada!!!! Love it! And I got red stamp pad ink all OVER me yesterday! LOL! I have ZERO feeling in my hands so when I picked it UP, the darned thing slipped right out of my fingers. Tried to catch it, but ... well, let's just say that this old Comanche truly and LITERALLY IS a 'redgirl' this morning despite LOTS of washing. Almost forgot to say I LOVE the happy lil' pompoms! love all that yummy twine! awesome! Really cute twine card! This stuff is addicting!! Great sentiment on your card! 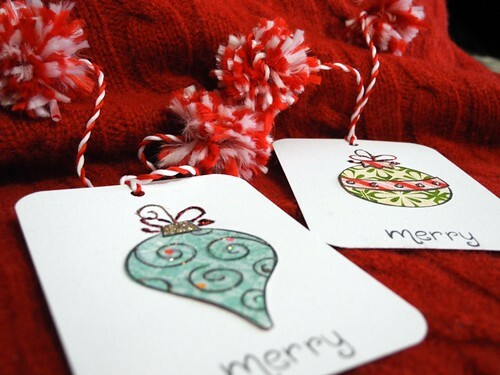 Your CHRISTmas tags are adorable and the pom poms just add even more to them. Love the tags -- and the twine! go you~so fun!! love it!!! Fabulous card and tags, just love those pom poms! Havin' a little lovefest with the twine today?! LOL!!! Great card and adorable tags!! Very nice!! Love the layers of twine there! But that sentiment is just the best!!! Love it! Fun!! OK, you were watching TV when you wrapped that twine, right? Great card! Theres that twine again! darling!